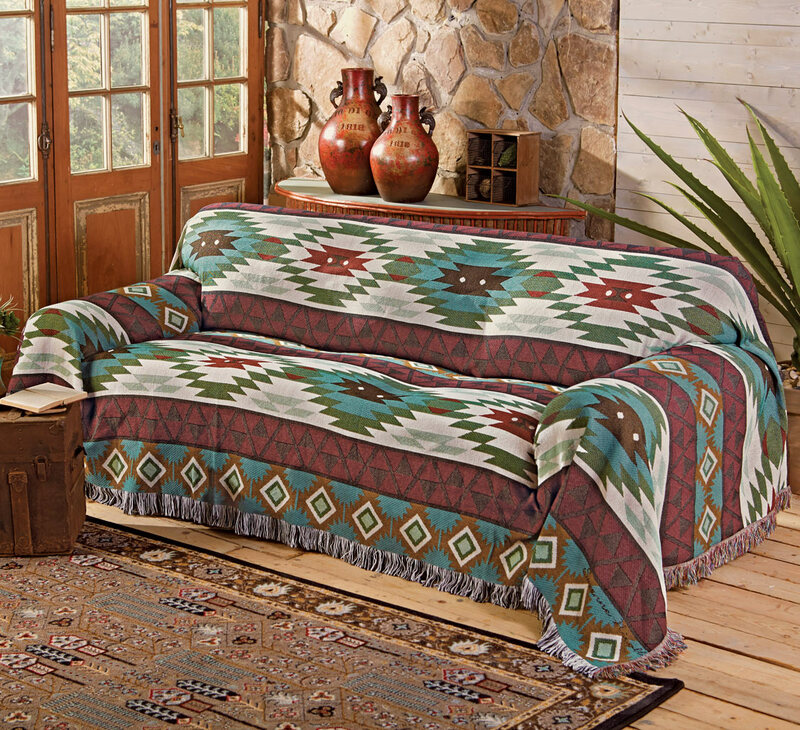 A Lone Star Western Decor Exclusive - These acrylic-poly tapestry covers with a classic kilim design protect furniture with southwest flair. Machine wash. Made in the USA. A Lone Star Western Decor Exclusive - This acrylic-poly tapestry cover with a classic kilim design protects furniture with southwest flair. Machine wash. Made in the USA. 170"W x 70"L.
A Lone Star Western Decor Exclusive - This acrylic-poly tapestry cover with a classic kilim design protects furniture with southwest flair. Machine wash. Made in the USA. 90"W x 70"L.